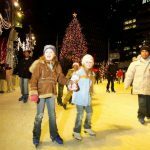 Campus Martius Park Ice Skating Rink – prices and admission info, pics for the 2018 – 2019 Campus Martius Park Detroit ice skating season! The season officially Begins November 16, 2018 after the tree-lighting ceremony. 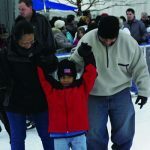 Ice-skating at Campus Park remains a favorite destination during the holidays, during the Motown Winter Blast festival and until early March when the skating rink closes for the season. 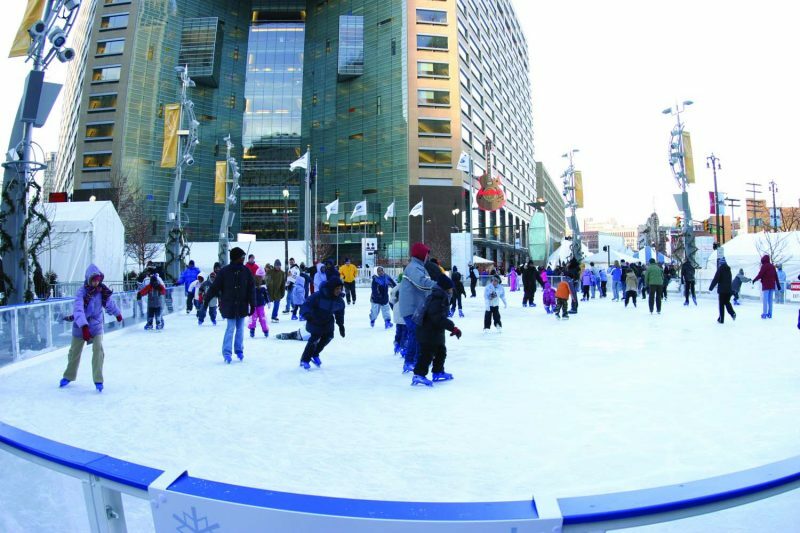 The Campus Martius Park Ice Skating Rink can accommodate up to 1000 ice-skaters at a time. 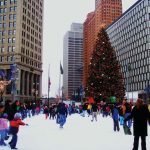 The professionally-kept Downtown Detroit ice-skating rink is not only gorgeous, it’s one of the few outdoor ice-skating rinks in Metro Detroit that offers ice-skate rentals. Special group rates are available for reservations. 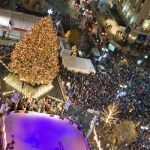 Please call Campus Martius Park at 313-963-9393 for group discounts. 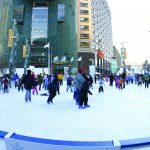 The first-ever winner of the prestigious, international Urban Land Institute Urban Open Space Award, Campus Martius Park delivers on its promise to be Detroit’s Gathering Place in the immediate downtown community and for the entire city and region. Detroit’s signature public space presents spectacular skyline views in an extraordinary setting. Campus Martius Park offers a wide range of opportunities to connect with friends, old and new, or simply to enjoy a bit of serenity. Rest and relax on any of our comfortable seating options near the everflowing Woodward Fountain or enjoy the beautiful landscaping and flourishing gardens while exploring some of the park’s historical amenities, such as The Michigan Soldiers and Sailors Monument or Detroit’s Point of Origin, the 1806 historic monument within the park where the city’s mile roads begin and draw to the suburbs. 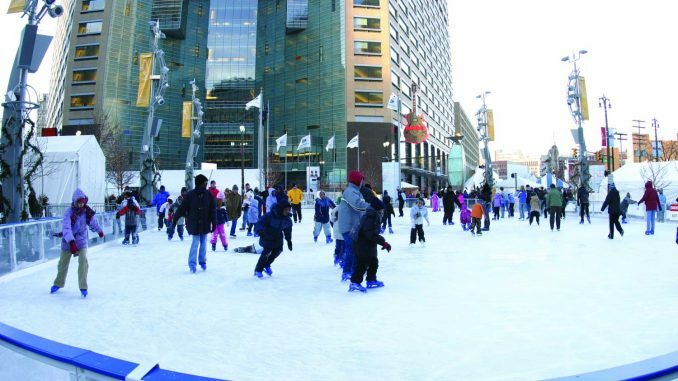 For more info on the Campus Martius Park Ice Skating Rink, contact Downtown Detroit Parks at 313-962-0101 or visit Campus Martius Park website.